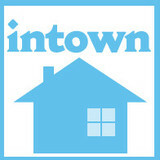 Intown Roofing is an award winning, locally owned and operated roofing company. We specialize in roofing replacement, repair, and maintenance of homes in Atlanta’s Intown Neighborhoods. Our experienced craftsmen are experts in all aspects of homes ITP. In addition, we receive truckload pricing on shingles and pass the savings onto our customers. See over 130 reviews about our parent company by searching for "Intown Craftsmen" on Angie's List. We use very few subcontractors and are fully insured. Please complete our contact page at www.intownroofing.com for fastest scheduling of a complimentary roof inspection and estimate. Our owner, Russ Melton, has been serving homeowners since 1983 and his Residential Contractor License is GA #RBQA006292. We proudly serve well over 1,000 happy customers, provide references and a 60 month warranty on our work as well as a lifetime warranty on the shingles. Designated as a preferred roofing contractor by Owens Corning, we also have an A+ rating by the Better Business Bureau and are accredited members. 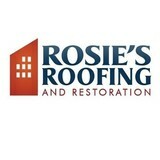 Residential Roofing Contractor - Based out of Roswell GA we are a veteran owned business. Fully insured & licensed. We serve all of Metro Atlanta and the North GA Mountains. 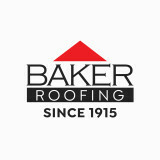 Offer a wide variety of products and one of the top specialty roofing contractors in the state. We are certified through the major shingle manufacturers. Thank you for considering All Roof Solutions. Our Mission at All Roof Solutions is to provide superior craftsmanship and installation that is safe, sound, and sustaining. We strive to offer superior customer service that is attentive, accountable, and active. Let us show you why our moto is "Honesty Built In"! Established in 1987, R.W. Stokes Enterprises uses a variety of slates, clay tiles and copper to create unique, client-specialized roofs. Enterprises works with customers to help meet their special needs and goals with both permanent and green roofing products that will please and impress. Enterprises crafts our signature slate roofs from natural slates originating in Vermont, Virginia Buckingham, Pennsylvania and Spain. For those clients desiring clay tiles, R.W. Stokes Enterprises provides gorgeous creations using tiles from Altusa, Ludowici, Santa Fe, and Borla. Finally, R.W. Stokes Enterprises favors the dark patina of copper metal in accentuating the beauty and timelessness of its classic structures. Ridge Valley Exteriors is 1 of 11 contractors in the ENTIRE U.S. on the Owens Corning Platinum Advisory Board.. That means we can offer the best roofing warranty in the world.. Up to 25 YEARS WORKMANSHIP.. But we're also local and have offices in North Metro Atlanta, Raleigh and Panama City We provide a HD video of all our roof inspections.. Our General Contractor's license means we can do roofing, siding, gutters & interior work.. Insurance? Yes sir! We have Worker's Comp, Liability, & so do our crews... We've been in business for 10 years, are family owned and operated, and believe that we are the Best In The World at what we do. Dr. Roof has been serving the Metropolitan Atlanta area since 1988. Our mission is excellence in roofing, siding, and painting; our aim is to differentiate ourselves from our competitors by providing excellent workmanship and customer service. From minor roof repairs, to complete roof replacements, Dr. Roof can assist with all of your roofing, siding, and painting needs. Total Pro Roofing is located in Grayson, Georgia in the Gwinnett and Lawrenceville area. We have an A+ rating with the BBB, NRCA members, CertainTeed ShingleMasters, and are insured. We are a residential restoration company. Slow growing because we emphasize quality over quantity. Many roofing companies have grown and died trying to grow too fast. We care about our longevity because our mission truly is: To Serve Without Expectation. Bell Roofing is a locally owned and operated in Atlanta roofing company. We are noted for our exceptional roof installations, roofing repairs, and full gutter installations. 90% of our business comes from customer reviews, which is a testament to the premium work we put into every job. To bolster your confidence and comfort with Bell Roofing, we also provide a 10 year workmanship warranty on every new roof installation. We are also conscious of the environment. We recycle all roofing debris. We are big on ventilation! Most roofing manufacturers will not warrant their products if the attic is not properly vented. Proper venting not only saves you money in heating and cooling bills, it also plays a major role in prolonging the life of your roof. During our comprehensive roof inspection we will give you the best ventilation option for your home. We also replace all roof components including flashings and pipe boots. We offer honesty, integrity, great customer service and superior products to the Greater Atlanta area. Bell Roofing can deliver what you want in a roofing company, and add that extra that other roofing companies cannot, personal attention. Give Bell Roofing a call today for a free estimate on your roof. You will be so glad you contacted us! Best Choice Home Crafters is Georgia’s leading home remodeling company for residential and commercial property owners. Our mission is to help you beautify, protect, and make your home maintenance free. We specialize in GutterGlove gutter protection, OKNA Custom energy efficient windows and installation, and BathPlanet Custom Bathrooms that are installed in about a day. We’re the preferred choice of home owners and small business owners throughout Georgia and the surrounding areas. Best Choice Home Crafters eco-friendly products and services include: GutterGlove – is certified as the best choice by a top consumer reporting magazine for directing rain flow and keeping everything out of your gutter system including leaves, sticks, animals, and pollen. GutterGlove is the first ever gutter protection system to be awarded for eco-friendly gutter protection and rain harvesting. Bath Planet – is the only bath and shower replacement system certified by Good Housekeeping . Beautiful, durable and easy to clean, Bath Planet baths and showers are the answer for chemical-free, eco-friendly bath and shower systems for health conscious consumers. BCHC completely removes your old bath, and replaces with your new bath within one or two days. Okna Windows – are 100% custom crafted wood and vinyl eco-friendly Energy Star windows with health aware “no clean” and “ultra-violet ray filtering” options. At Midian Roofing, we are up for any challenge! From minor roof repair after a hail storm to complete roof replacement, we’ve got you and your home covered—literally. We can help with any project, large or small, including shingles, gutters, siding, shakes and much more. 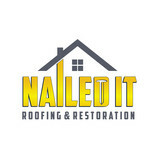 We have over 20 years of experience in the roofing industry and are well respected as a high-quality roofing company throughout Georgia, South Carolina and surrounding areas with service to Williamson, Rome, Fort Mill, Griffin, Barnesville, Zebulon, Thomaston, Jackson, Williamson, Spalding, Lamar, Pike, Upson, Butts and more. Our A+ rating with the BBB, parts and labor warranty and loyal customers can all attest to our excellent customer service. Above all else, we believe in quality workmanship, so if you’re looking for the best roofing contractor in town, look no further! Contact us at Midian Roofing today to request a written estimate. Spagnoli Construction is a Georgia-based residential and commercial property remodeling & repair company under the leadership of Corey Spagnoli. Corey is a third generation construction industry business owner with 15+ years experience in property remodeling and repair. Spagnoli is the name you can trust for quality property remodeling and repairs! Contact us today to help with your property needs! Who We Are – Our Story In A Nutshell A Renovation & Restoration Company that started as a small venture has now evolved into a full-service Contractors Group that is located in Norcross, Georgia. Excellence Contractors Group has now become one of the best choices of thousands of homeowners for insurance damage claims subject to the prescribed contractor services. The customers who claimed their damage insurance policies have been provided with some of the best-quality roofs, windows, gutters, and sidings installation together with a fresh coat of paint on the interior & exterior of their residential & commercial properties. The company’s name is itself self-explanatory i.e. : “Excellence”. Our experience provides 15 years of excellence, integrity, devotion, and thoroughness. Its main focus has always been to helping out its clients in the worst situations and thus need to consult a contractor in Metro Atlanta area and surrounding suburbs. Property owners can also consult ECG for assistance during meetings with their respective insurance providers/agents in order to get the best insurance services they deserve. And yet the group strives to be available 24 hours a day 7 days a week and 365 days a year to provide you the utmost convenience because an emergency could take place without any warning! Roofs and gutters are two home elements that, when they do their job, go unnoticed. But when they malfunction, they make their presence known in a hurry — that’s where knowing a good Douglasville roofer comes in handy. Hire the right roofing company in Douglasville, GA to install, repair and maintain your roof and gutters, and you’ll ensure that these essentials perform at their peak. What do roofing companies in Douglasville, GA do? Your Douglasville, GA roofing contractor can install a new roof or repair an old one, as well as repair and replace gutters. Good roofers in Douglasville, GA should be able to promptly inspect roofs and gutters to assess damage after a natural disaster or other event, and give you an estimate for the necessary roof repair immediately. Some Douglasville roofing companies specialize in specific types of roofs, such as tile or metal, so make sure the one you are interested in works with the materials you have or desire. Find a Douglasville roofer on Houzz. Narrow your search in the Professionals section of the website to roofing companies in Douglasville, GA. If you’re planning a large-scale project, find other professionals on Houzz who can help get the job done. Here are some related professionals and vendors to complement the work of roofing & gutters: General Contractors, Specialty Contractors, Siding & Exteriors, Door Sales & Installation, Garage Door Sales & Installation.